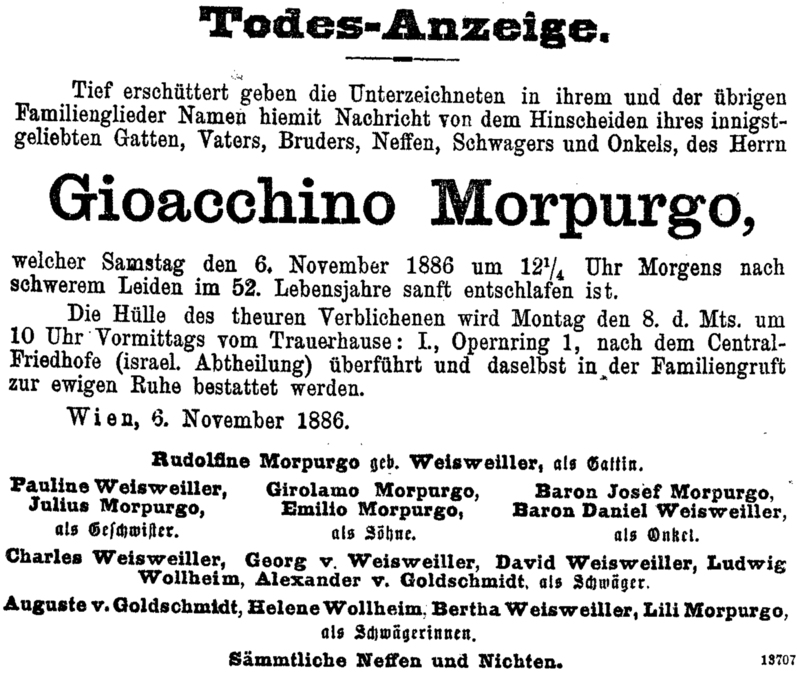 MORPURGO - jewishvirtuallibrary & retecivica.triestes - North Italian family of Austrian origin. Its earliest known is rabbi Israel Isserlein b Petachia (1390-1460) who settled in Marburg, Styria current Maribor, Slovenia and became known also as R. Israel Marburg. In 1624 members of the Marburger or Marpurger family were appointed Court *Jews by Emperor Ferdinand II. About the mid-17th century, they were to be found in various parts of Europe, North Africa and the East, but mainly in northern Italy, at Trieste, Gorizia, Ancona, Venice, Padua. 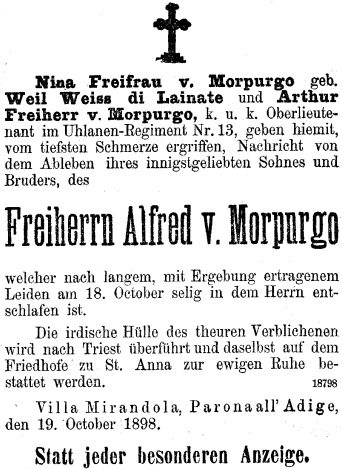 Arriving there from Gradisca d'Isonzo (Austria), they eventually changed their name to Morpurgo, and distinguished themselves in various fields. 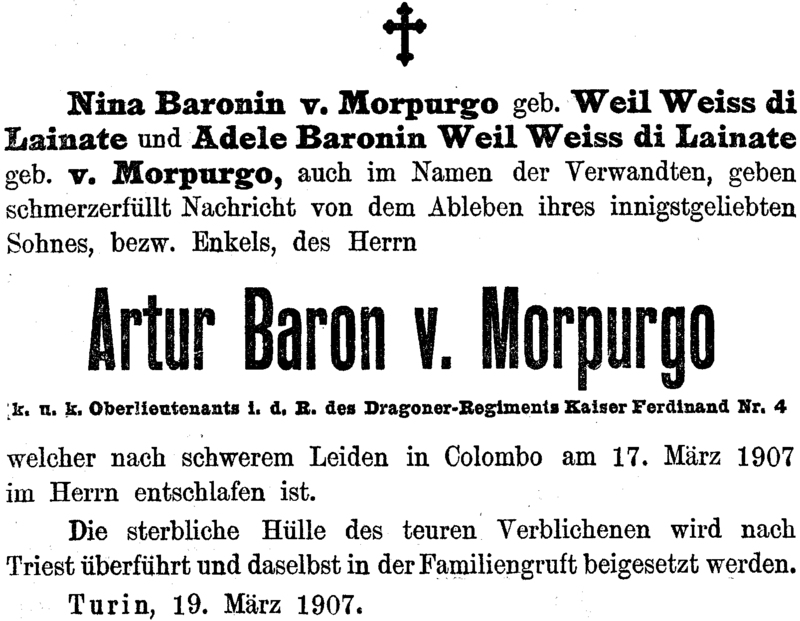 Among the descendants are Aaron of Marbourg & his son Isaac of Trieste banker, who along with other members of the family gained accolades from the German Emperor Maximilian I in favour of the Israelites - most likely because the Marbourg's were able to provide large supplies to the wars in that period. The Marburg's perpetuated their name and were divided into several branches. 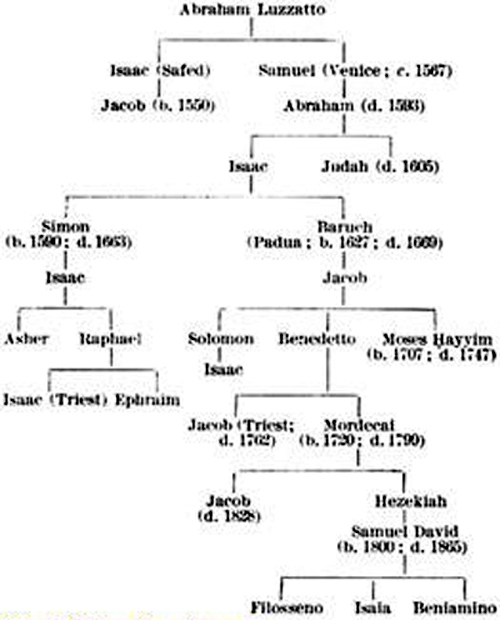 In 1624, Moses son of Aron of Gradisca and Jacob son of Simon Marpurger of Tapogliano were elected Jews of court, for a very large scope and only rarely granted by Emperor Ferdinand II of Austria.. Note: origins cont'd; In 1870 the sisters Emma and Fanny Mondolfo, conjugated with the brothers bought the stable holding Morpurgo #839 on the corner of the contrada San Giovanni (now via degli Imbriani 5) and the contrada Nuova (now via Mazzini 42) and the adjoining land marked with #840 (prospettante the Contrada Nuova). These ancient buildings demolished, in 1875, the architect Giovanni Berlam designed a Palace of elegant and sober forms neo. 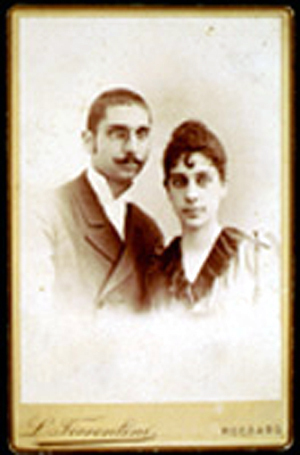 *Giacomo and Fanny Morpurgo with children Mario and Matilde, in 1878, went to occupy the apartment that stretched the entire second floor, while Carlo Marco and Emma Morpurgo chose the one corresponding to the first floor. The third floor was divided into two apartments to let, as well as the spacious rooms of the ground floor. Emma's death, the House passed to his sister, which in 1938 was the Act of donation in favour of children. Both to their death left their property to the municipality of Trieste. Note: Mario, in his will, drafted in 1941, destiny as the heir of all his substance, the Municipality of Trieste, in addition to art collections, the furniture and furnishings. The yield of the substance, which, from the farm of Sant’Andrea di Pasiano, the palace Morpurgo, bank deposits, stocks and bonds, amounted to 279 million, was intended to create a fund intangible as Mario Morpurgo de Nilma: The foundation was established in 1947 as a legal entity in the non-profit organization based in Trieste (via Imbriani 5) and still lends her noble work. The purpose of the foundation is to help people in need, with preference for those decades, born and living in Trieste. The apartment on the second floor with her furniture was almost intact Civico Museo Morpurgo and that the first was in 1950 turned into a Museum of the Risorgimento and the history of Homeland. In 1952 it became the seat of the Collection since 1991 and Stavropulos temporary seat of the Civic Theatre Museum "C. Schmidl. Albert von MORPURGO "aka von Morpurgo de Morpurgo von und zu 'kernicks valen'" Born: abt 1878 /32y Immigrated: 1894 arriving from Germany. Residence: San Francisco, California. occupation: Grocery Store Owner + (?) SCHMECKPEPER Born: (abt 1887 /23y - ) Father: Henry Schmeckpeper (abt 1846 /64y imig. 1871 - ) Mother: Ricke (?) (abt 1867 /43y imig. 1894 or 1903 -) "source - 1910 US census"
*2nd wife of Albert von Hopinger Born: abt 1881 /39y + Dorette HOPINGER Born: abt 1889 /31y * living with Rike Schneckpeper (abt 1859 /61y - ) widowed "source - 1920 US census & 1930 census has him as Albert von Morpugs? (abt 1879 -) with same dates for his family as in 1920"
Samson (ben Joshua Moses) MORPURGO Born: 1681 in Gradisca d'Isonzo, Italy. occupation: Bosnian-Italian Rabbi, Physician, Liturgist. Residence: parents with young Samson moved to Gorizia, Italy. Died: 1740 + Rebecca FIAMETTA Died: 1716 Siblings: Judith Fiametta Father: Joseph Fiametta (Lehavah) ( - 1721) kabbalist *jewishvirtuallibrary, wiki. Mosé MORPURGO visited Ereẓ Israel *ref. Eva MORPURGO Born: abt. 1782 Married: Oct 9, 1801 Died: Feb 144, 1873 in Trieste, Italy + Ruben Isach Roberto (see GEIRINGER family) Gairingen in Italien Born: abt 1769 Died: Feb 1, 1818 in Trieste, Italy "source Comunita ebraica in Triest books"
Emilio MORPURGO Born: 1822 occupation: Taught economics at Padua University, undersecretary for agriculture in 1867. Died: 1882 *ref. (?) MORPURGO + Nina CALOMBA *ref. Abraham Vita MORPURGO occupation: Publicist from Gorizia, Italy, founded the Corriere Israelitico in 1867 + Rebecca Carolina LUZZATTO ref1, ref2. 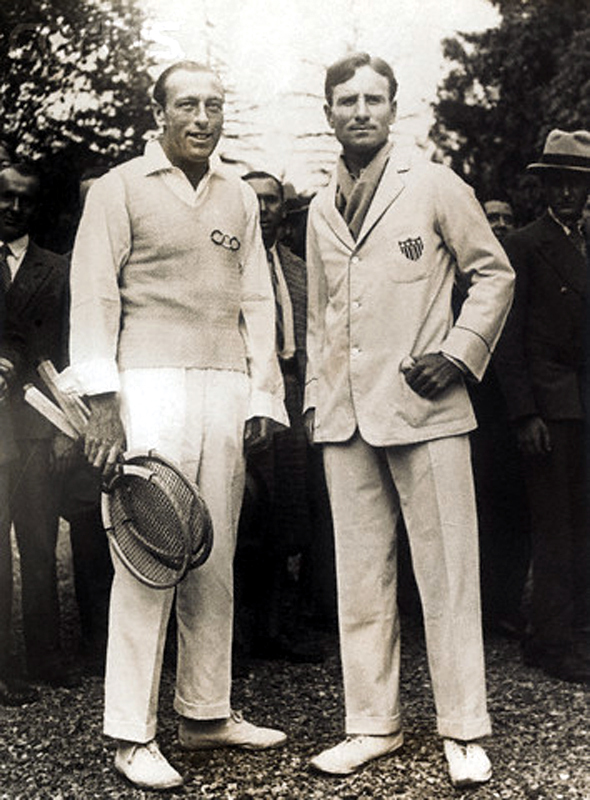 Elio MORPURGO Born: 1858 in Udine, Italy. occupation: Mayor of Udine in 1908, served as Undersecretary for posts 1906 & 1908, made Senator for life in 1920. Diported 3/26/1944 to San Sabba in Trieste, 3 days later loaded into a cattle wagon with 500 other Jews deported to Auschwitz, where he never arrived and his body was not found *ref., ref2. SALOMONE MORPURGO Born: 1860 of Trieste, Italy. occupation: Philologist, Librarian. Died: 1942 *ref. Edgardo MORPURGO Born: 1866 occupation: Physician, Jewish Historian, donated to the library of Padua University the collection of Judaica belonging to his family, the Raccolta Morpurgo di letteratura e storia dei popoli semitici, whose catalog he published in 1924. Died: 1942 *Two of his grandsons were Zionist pioneers, both met their deaths during Israel's War of Independence, the first near Sedeh Eliyahu, and the second near Haifa *ref. Gino MORPURGO translated the Books of Ecclesiastes and Esther into Italian (1898-1904) *ref. Willy MORPURGO "pseudonym DIAS" Born: 1872 in Trieste, Italy. occupation: Journalist. Died: 1956 *ref. Giacomo MORPURGO Born: Feb 10, 1896 in Florence, Italy. Died: Oct 6, 1916 on the Busa Alta, buried Trentino Caoria cemetery, HQ of Italian troops in Val di Fassa *ref. Giuseppe MORPURGO Born: 1887 occupation: Italian Author, secondary school Teacher, for some time after 1938 headmaster of the Jewish school in Turin. Died: 1967 *ref. Vittorio Ballio MORPURGO Born: 1890 in Rome, Italy. occupation: Architect, designed buildings in Rome, Tirana, and Rio de Janeiro, Brazil. Died: 1966 in Rome or Rio de Janeiro *wiki, ref. Marco MORPURGO Born: 1920 Died: 1948 *ref.